Summary: Looking for a simple way to transfer all data from a LG phone to your computer? This is an useful article will tells 3 simple and effective methods for you to sync all your data including contacts, photos, videos, call logs, text messagesand more from any LG smartphone and tablet to computer. LG and Samsung have always been two technology competitors. Although Samsung is a larger company, LG has also brought a lot of innovations in the technology field, although it is often underestimated, such as back button, laser focus, quantum dot screen, Flex Curved screen, auxiliary screen, modular design, 32-bit quad-core DAC chip and more. LG is an innovative company, LG expresses its unique product design concept on every generation of mobile phones, so LG still has a lot of users. If you are also the user of LG phone, sometimes, you may need to transfer some or all files from your LG phone to the computer. This is a very good way to store some important files, in case the phone is lost or damaged by accident. However, so many complex files in the phone, how can we reasonably and regularly manage these documents, or find these documents? For example, I want to transfer my contacts and call logs from my LG G5 to the computer, but when I use the USB cable connected it to the computer, I do not know what to do next. I can't find anything I needed. Have you also met the similar situation? In fact, there are many ways to transfer data from LG phones to computers. Using auxiliary software is the most convenient way. Here we will recommend three very useful and simple ways to help transferring all data from an LG smartphone or tablet to computer directly. 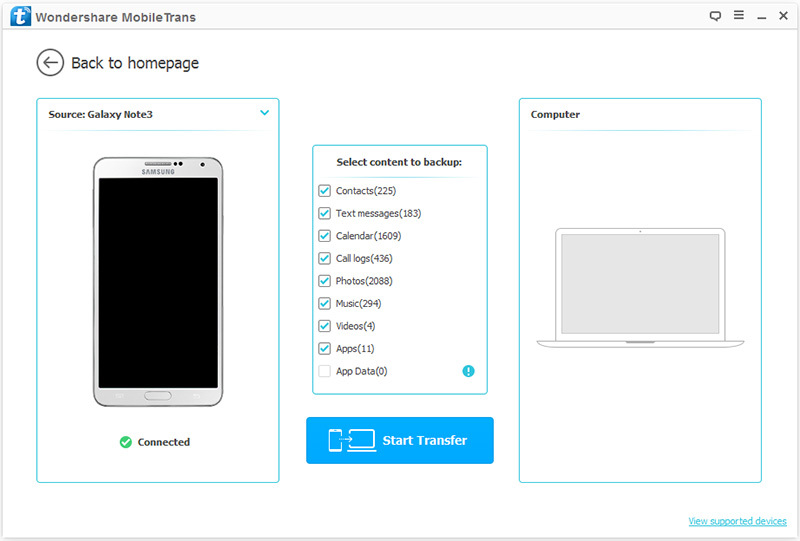 You can use Mobile Transfer if you want to transfer your mobile phone data to your computer regularly. This is a safe and reliable software. You can use this software to back up your mobile phone data to the computer, you can also selectively transfer the phone data to the computer. In short, Mobile Transfer allows you to handle the phone data become easy and convenient. The most important thing is its security. It will not cause any damage to your mobile phone in the process of using the software. Please be assured to use it. Just like you use other software, you have to download and install Mobile Transfer on the computer first. 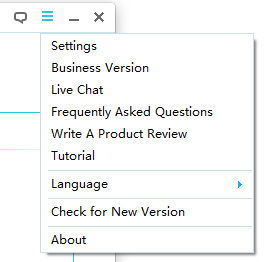 After running the software, you will see the function list and select "Back Up Your Phone" in the main interface. 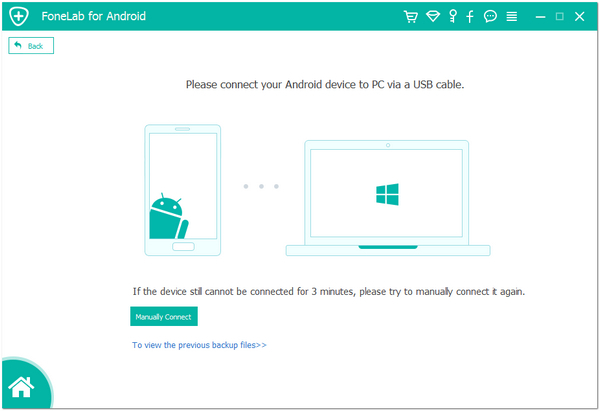 After running the software, connect your LG mobile phone to the computer with USB cable. The phone successfully connected to the computer, the program interface as shown below. In the middle of the screen, all data types that can be backed up are displayed, such as contacts, text messages, music, photos, videos, call logs, apps and so on. Select some of the types according to your actual situation, then click "Start Transfer" to sync them to your computer. 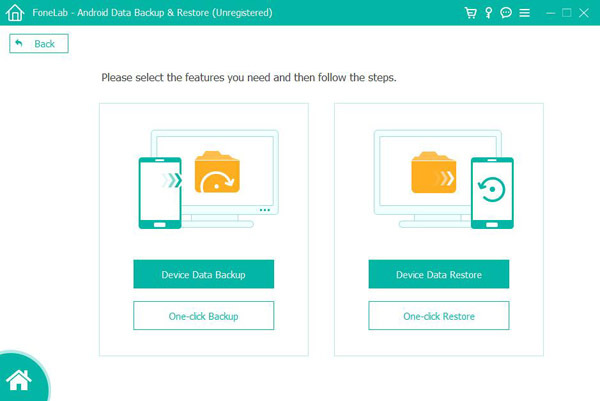 On the surface, Android Data Backup & Restore is a data recovery software, but in fact, it is also a comprehensive data management tool. With the help of this tool, you can not only get back the deleted and lost data from any of your LG smartphone, but also backup data from your LG devices, as well as restoring these backup to any supported devices. So, you can easily to export almost all your data from your LG phone to computer by using this tool. Step 1. 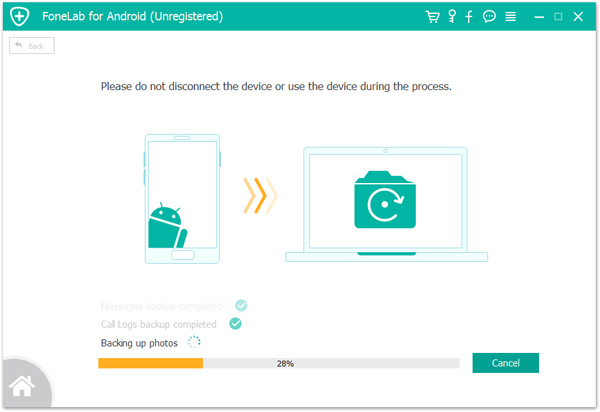 Please install and launch the the program and choose "Android Data Backup & Restore" in the primary interface. Step 2. please use the USB cable to connect your LG mobile phone to the computer, and the program will soon detect your phone. Step 3. 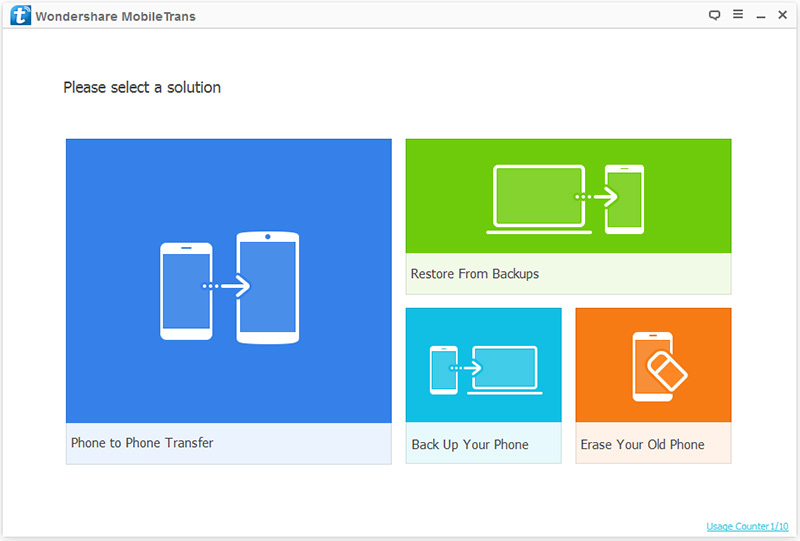 After identifying your LG phone, you can choose the "device data backup" or "one-click backup" option to backup files. Please select one of them as needed to ensure that your phone can be backed up, and then click the "Start" button to start exporting mobile phone data to the computer. 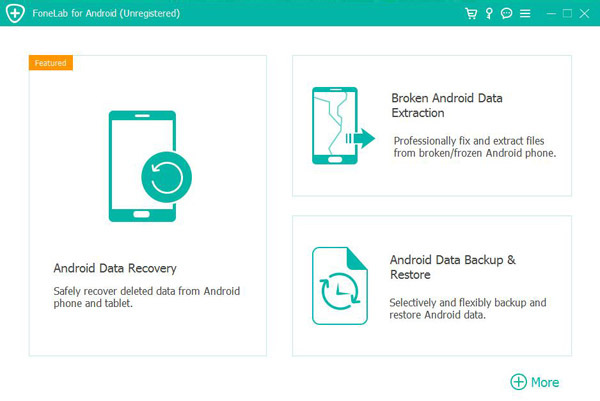 Android Data Recovery is an well-known and professional data recovery software that can easily recover deleted and lost Text Messages, Contacts, Videos, Photos, Call logs, Whatsapp Messages, Audio and other document files from any Android phone and SD card. So, you can easily to extract your existing and lost contents from your LG phone to computer by using this tool. Step 1. As the same, run the program and choose "Android Data Recovery" in the main page. Step 2. Connect your phone to computer, please ensure that you've enabled the USB debugging on your phone's screen. Step 3. Select the file types that you want to scanned, press "Next" to go on. Step 4. Preview the scanning result and choose those whatever you needed, then press "Recover" to save them to your computer.